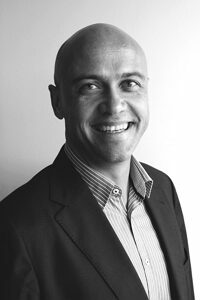 Jesper Martell is the Chief Executive Officer (CEO) and co-founder of Comintelli. Jesper is responsible for the overall operational activities at Comintelli, focusing on marketing and product development. Prior to founding Comintelli, Jesper had a career at Ericsson between 1994-1998. He created, established and managed the corporate Business Information Centre, by many regarded as the largest competitive intelligence system in the world. He holds a Master of Business Administration (MBA) from the Stockholm School of Economics. During this roundtable, participants will share their views on how new technologies and tools such as analytics, AI, Machine Learning, content automation will affect the role of CI professionals in the future. An informal and interactive conversation with two of Comintelli’s founders, Jesper Martell (CEO) and Anders Thulin (CTO) about what the future holds for Intelligence system in general and Intelligence2day in particular.